How does your eye work? The eye works like a camera. Light passes through the cornea, the clear window at the front of the eye. The iris is the coloured ring (brown, blue, green etc). The pupil is the black hole in the centre. Light passes through the pupil and is then focused by the lens which sits behind the iris onto the retina which is the membrane at the back of the eye. The retina acts like the film of the camera. 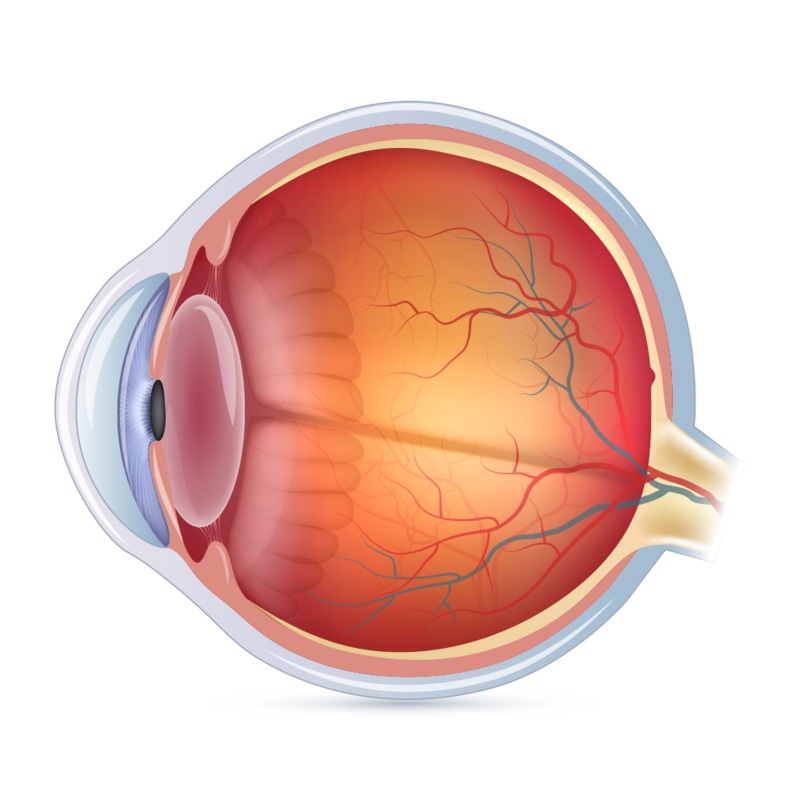 It converts the light energy into an electrical signal which then passes to the optic nerve. From here the signal is transmitted by the optic nerve to the brain where it is processed further.